108 Rock Star Guitars author and photographer Lisa S. Johnson has partnered with the ultimate lifestyle shopping destination RONROBINSON in Santa Monica, Calif., to host a guitar-themed reception and book signing on Thursday, Sept. 3, 2015 from 5 – 8 p.m. Featuring Johnson’s stunning original photography showcasing the instruments of guitar gods like Jimmy Page, Slash, Carlos Santana and more, the opening reception is open to the public and free of charge. DJ Apollo Starr will provide music by spinning classic rock music by guitarists featured in 108 Rock Star Guitars. Additionally, guitar-themed refreshments brought by Wines That Rock, and a Jimmy Page Gibson SG EDS 1275 double-neck cake by renowned bakery Brie Darling Cakes (formerly Cakesheads L.A.) will be served. BackStory, a series of curated live, feature-length interviews with iconic artists and musicians, announces metal heavyweights David Ellefson (Megadeth), Mike Portnoy (The Winery Dogs), Alex Skolnick (Testament) and Mark Menghi of Metal Allegiance as upcoming guests for an exclusive live interview focusing on the band’s self-titled debut album, and much more. The interview will take place on the album’s launch date, Fri., Sept. 18, 2015 at AOL studios in New York City. Tickets are now available for purchase. Metal Allegiance’s upcoming self-titled album is as pulverizing, energetic, atmospheric, and awe-inspiring as fans of the jaw-dropping list of associated bands should expect. Metal Allegiance contains appearances by Philip H. Anselmo, Charlie Benante, Chuck Billy, D. Randall Blythe, Rex Brown, Ron “Bumblefoot” Thal, Phil Demmel, David Ellefson, Alissa White-Gluz, Matthew K. Heafy, Gary Holt, Jamey Jasta, Chris Jericho, Andreas Kisser, Misha Mansoor, Mark Osegueda, Tim “Ripper” Owens, dUg Pinnick, Mike Portnoy, Troy Sanders, Cristina Scabbia, Alex Skolnick, Steve “Zetro” Souza, and Ben Weinman. 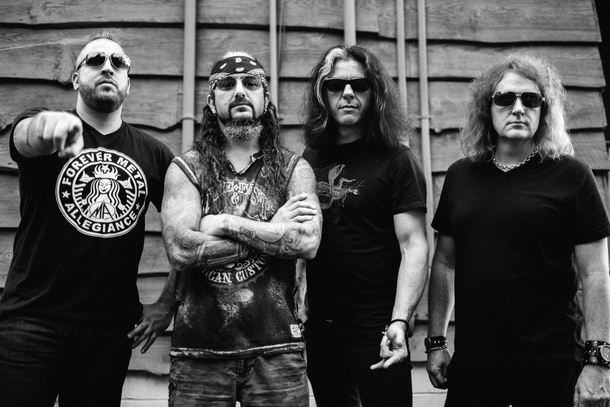 Founder Mark Menghi describes his relationship with Ellefson, Portnoy and Skolnick in terms of brotherhood – and it was those four who buckled down to write the first batch of original, all-new material for the Metal Allegiance album. More about Metal Allegiance at www.metalallegiance.com. Hosted by legendary music journalist Brad Tolinski, the BackStory event on September 18 will allow guests to enjoy a seat at an exclusive, career-spanning live interview. Each ticket includes a seat in the studio audience, the new Metal Allegiance CD, a meet-and-greet with the four core members, and complementary beverages. The Women’s International Music Network (WiMN) is pleased to announce the finalists selected to perform at the 2015 She Rocks Showcase at the WGBH Food & Wine Festival in Boston, taking place Saturday, September 19, 2015, from 1:00-4:00 p.m., at the WGBH headquarters. 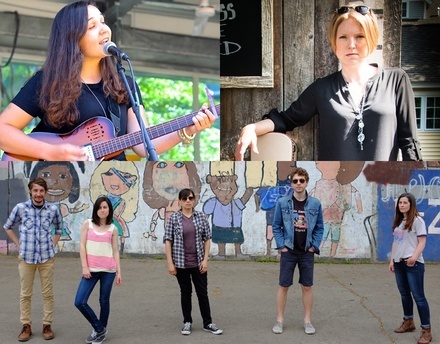 Featured performers include Connecticut-based recording artist Laura Clapp; five-piece folk/rock band from Boston Post Modern Authors; and Boston-based singer-songwriter Kate Diaz. The performers were chosen based on their submissions to theWiMN.com. 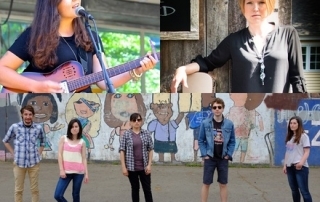 “We’re so excited to bring talented women in music to the WGBH Food & Wine Festival. Combined with live music, artisan food and wine, and the support of the WGBH, this will be a great event for everyone attending and performing,” said WiMN Founder, Laura B. Whitmore. Growing up in Connecticut, Laura Clapp began her piano studies at age 6 and composed her first song when she was 11. Clapp graduated from Berklee College of Music, where she learned guitar and recorded her first CD Where Are You Going? After writing and recording her second CD Simply, she toured America, funded entirely by CD sales and the support of her fans and friends. As a demonstrator for pro audio company TC-Helicon, Clapp has been featured on several YouTube videos, some with over 450,000 views to date. For more info, visit http://www.lauraclapp.com. Post Modern Authors, a five-piece band from Boston, create a unique sound, blending folk and rock that rings on the edge of a dark, quiet, and explosive landscape. The band is comprised of Michelle Amirault on bass, Dominic Dellaquila on electric guitar, Emily Seeberg on drums, and Meghan Seeberg and Andrew Sullivan on vocals and rhythm. Learn more at www.postmodernauthors.com.